Games I Slept On - Plants vs Zombies Garden Warfare 2 — GamingWithSwag.com - Dads By Day, Gamers By Night. Like most people I loved Plants vs. Zombies. It was a near perfect game balancing new game dynamics with a cartoon style and escalating challenges. It was a game like the first Angry Birds that was excellent for kids and adults. I played the game to completion, and unlocked every available item. Then Plants vs Zombies 2 came out and it was built for micro-transactions, and while it was fun at times it was tainted by greed. I played it a few times and deleted it. Since that experience I wrote off the franchise. When I saw pictures for Plants vs Zombies Garden Warfare I thought it was simply a shooting game that younger people could play that was less violent and aggressive than a military game. My nephew Adam still loves PvZ and I scored a cheap copy of PvZGW2 at a flea market for him to play. I thought I would check it out to see the gameplay and I was truly surprised by how good it looked and played. 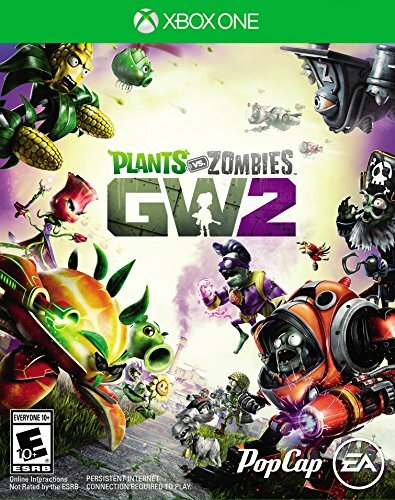 It still had the fun cartoon style, but the battle mechanics were very diverse with each plant or zombie having really unique abilities. It also had an addictive collectible system that unlocks more characters or allows customization. I did not play enough to grant a proper review, but I must admit I wrote off the series too early. I will be looking to get my own copy of Garden Warfare 2 soon.